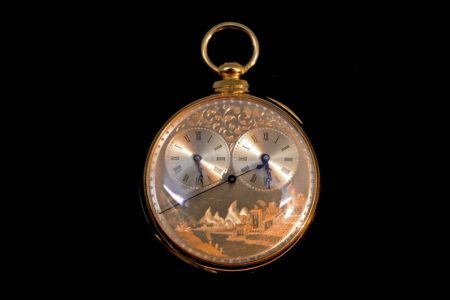 Rare English dual time zone key wound pocket watch by Arnold Adams & Co. 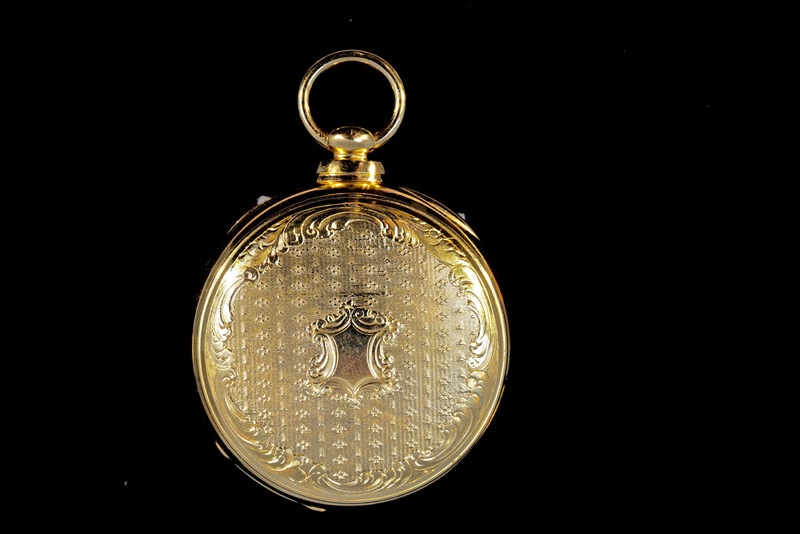 This watch resides in a beautiful gold filled case with finely engraved dial. 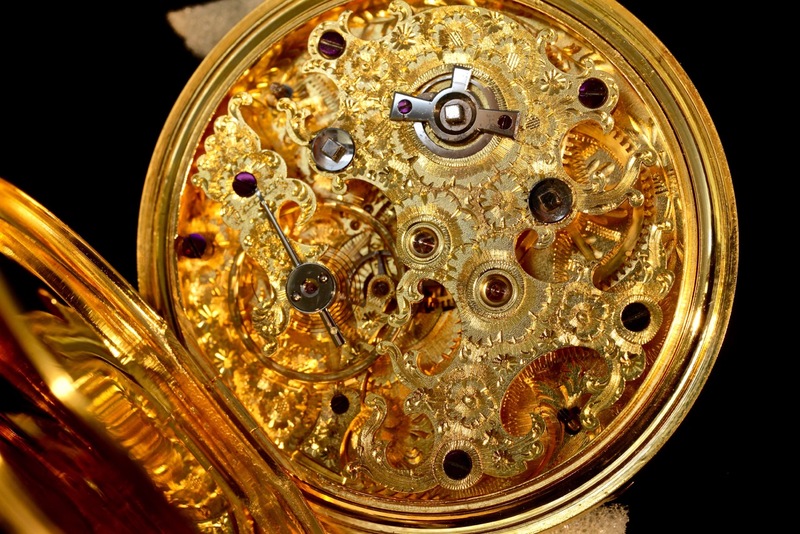 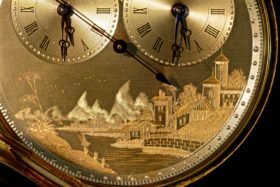 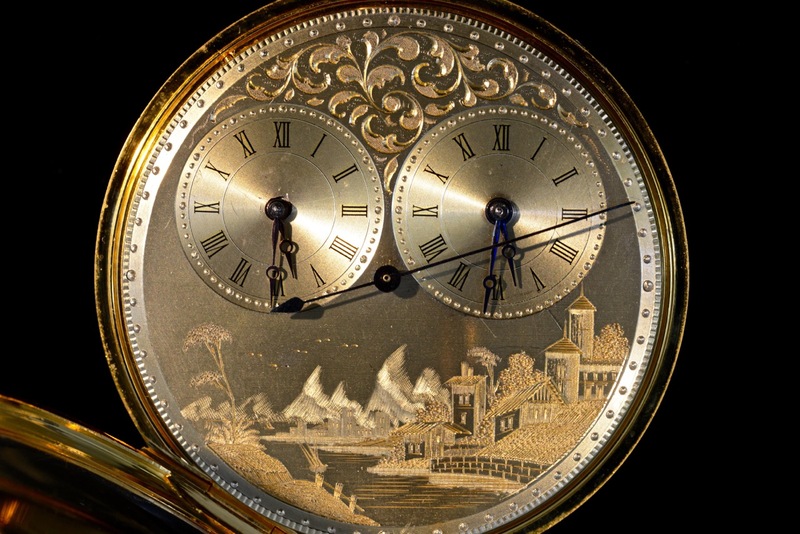 It houses an early key wind movement with 10 jewels, duplex escapement ruby roller jewels, sweep center seconds hand and a gilt brass hand engraved back plate. 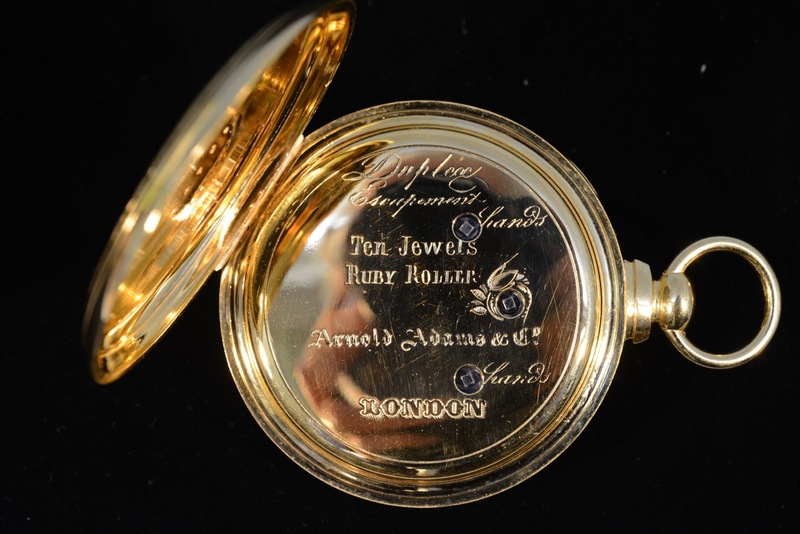 56mm.